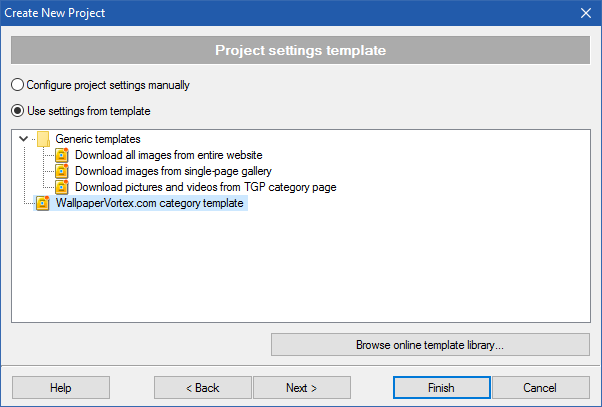 Extreme Picture Finder project templates contain project settings that can be automatically re-used to create projects for similar URLs. For example, a template to create projects for any gallery from a certain website, or a template to create projects for entire category... Pretty much for anything. So, first of all, you have to download and install the most recent version of the program using the button below. Installing a project template is very easy. Once you find a template for your URL in the templates library, simply click the button next to the template title to download it. Then let your browser open the downloaded file with Extreme Picture Finder or double-click the file yourself in Windows Explorer. 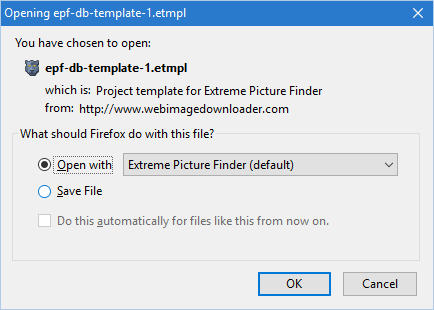 This must open Extreme Picture Finder, add the template to the local templates library and open the local template library browser, just like on the screenshot below. That's it, new template is installed and ready to produce projects. Most templates from the online library are used automatically when you create a new project. 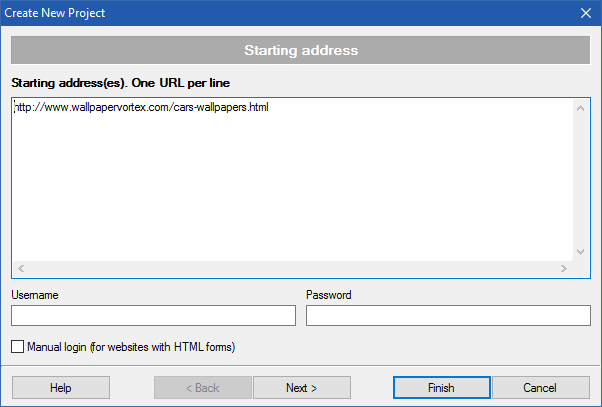 When you click the button and paste your URL into the Starting address(es) field of the New Project Wizard, Extreme Picture Finder detects which template to use for your URL and automatically selects it. So, basically, you can click the Finish button now and let Extreme Picture Finder download all files for you. If, for some reason, the template was not selected automatically, you can click Next > button and select the template you want manually. If you have any questions about Extreme Picture Finder templates - write us at support@exisoftware.com, we'll be glad to help! Also, please check out the Extreme Picture Finder forum where we answered hundreds of questions already.